The husband and wife duo of Cary Ann Hearst and Michael Trent have been crafting some damn fine Americana over their career as the duo Shovel & Rope, but recent events (the birth of their first child, tragic mass shootings, personal loss) have inspired them to craft the best record of their career with the fantastic Little Seeds. Playing all of the instruments, self producing (Trent covered those duties) and singing perfectly together the duo seems completely lockstep in stride. They turn up the amps, distort the white noise fuzz and electric guitar more than ever before on opener "I Know" recalling a minimalist Dead Weather sound and can stay loud with other tracks like the bombastic groove of "Buffalo Nickel" and the swinging "Invisible Man" both reminding of recent Jack White projects. That noise injection is a welcomed added dimension, twisting up their sound proper but this band is steeped in folk tradition to their core, just listen to "Mourning Song". The track is direct, acoustic, cleverly laid out and most importantly achingly great to listen to. "Botched Execution" is energetic in its constant singing giving it a hip shaking urgency, while "The Last Hawk" feels the most like past Shovels & Rope efforts as it is an ode to Garth Hudson in a mid tempo storytelling style. The dramatic "St. Anne's Parade" moves the band back to it's almost gospel roots setting the tone for the knock out punch later on the disk. Hearst and Trent's mastering of the less is more idea becomes starkly clear on "BWYR" which deals with the Charleston Church Massacre via a solemn prayer approach that rattles to the core. The spoken storytelling of rolls out "Eric's Birthday" before that rolls into "This Ride" closing the disk with simple harmonies, acoustic guitars and hand claps. When it wraps up the band has touched on country rock history, modern cultural issues, unique sonic experiences and a musical connection to all that comes before while giving a glimpse of their wide open future. 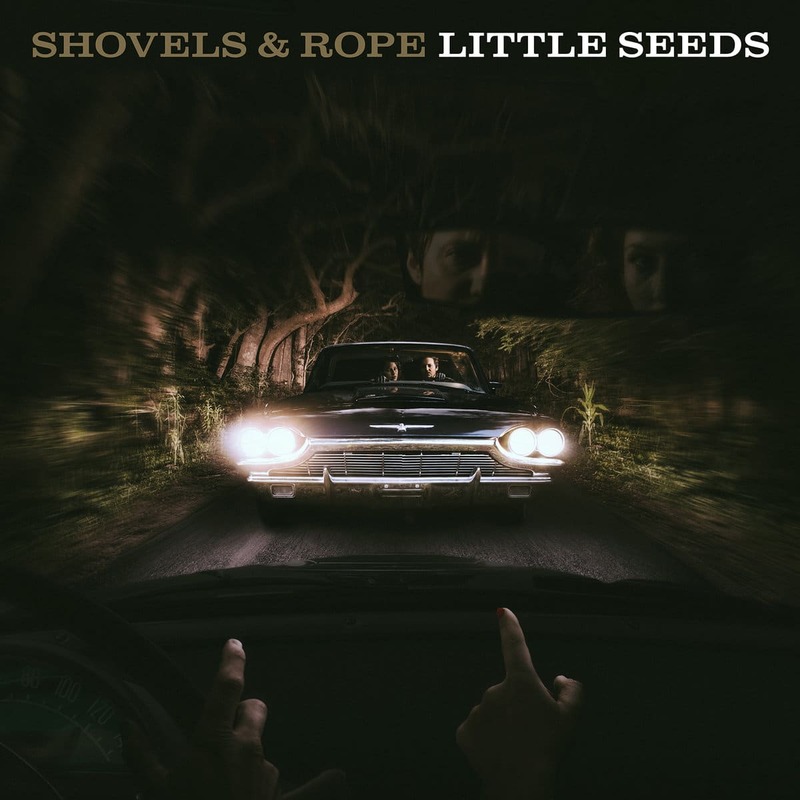 Shovels & Rope have been successful in their career, but Little Seeds should propel them to that proverbial next level.